A lot can change in just one week. At last weeks party I watched two episodes of Downton Abbey and thought it was just… meh. I ended up watching Season 1 and 2 and am HOOKED. Anyone know how I can get the already-aired episodes for Season 3? Painted Therapy used reclaimed wood to create this adorable dog silhouette cutout. I love it when I see original ideas that I’ve never seen before. 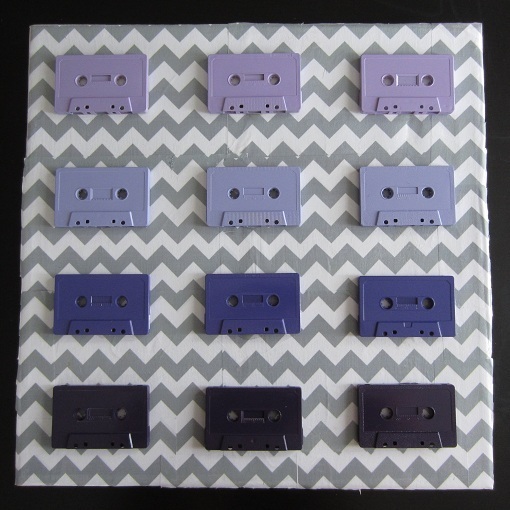 Check out this awesome cassette tape art from Sarah SaturDIY. The Morris Mojo used an ikea rug, paint, and painters tape to create this one of a kind chevron rug. Just the Bee’s Knees shares 3 different ways to create metallic pumpkins. I love the wood grain one! Thrifty and Chic took cheap-o plastic pumpkins and turned them into these chic versions. 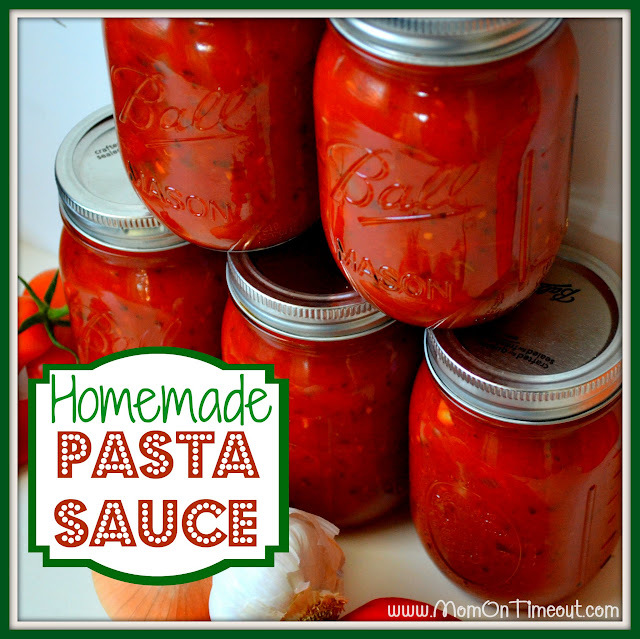 This homemade spaghetti sauce recipe from Mom on Timeout looks delicious. Marty’s Musings shares how to turn a boring log into this amazing branch centerpiece. I’m digging these oh-so-trendy color-blocked pumpkins from illi style. Lizy B makes some too-pretty-to-eat chevron pumpkin cookies. I’ll eat them anyway though. Yummy! Check out this festive pumpkin pillow from Keeping it Simple. 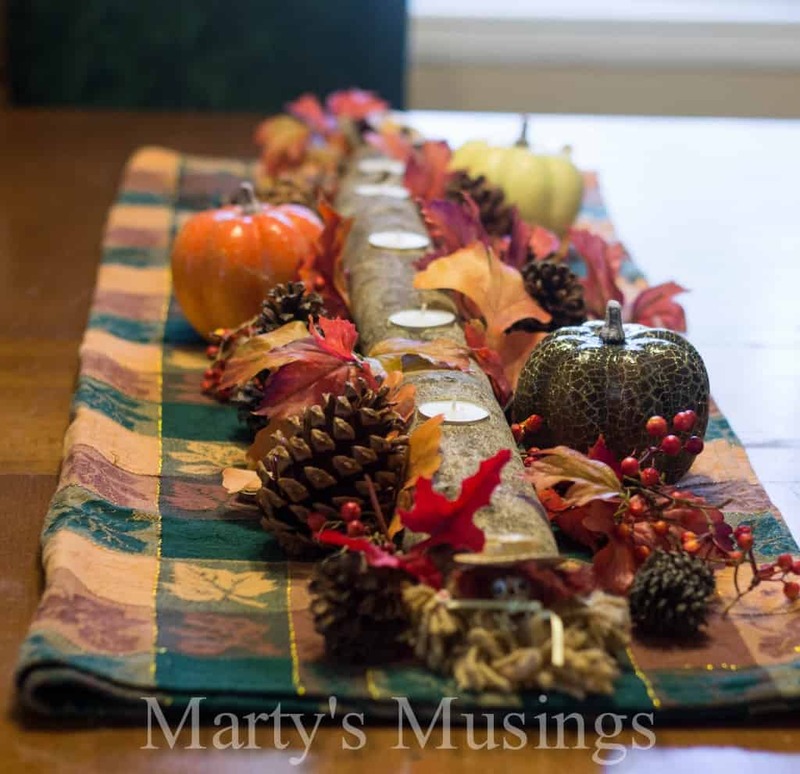 The Simple Crafts Diaries decorates her mantle for Fall. Check out some cool tricks she shares on using picks and pumpkins. These Jack Skellington cake pops from Pint Sized Baker are so spooky and fun! I keep hearing fabulous things about that show. I need to start watching it!!! Wow!! 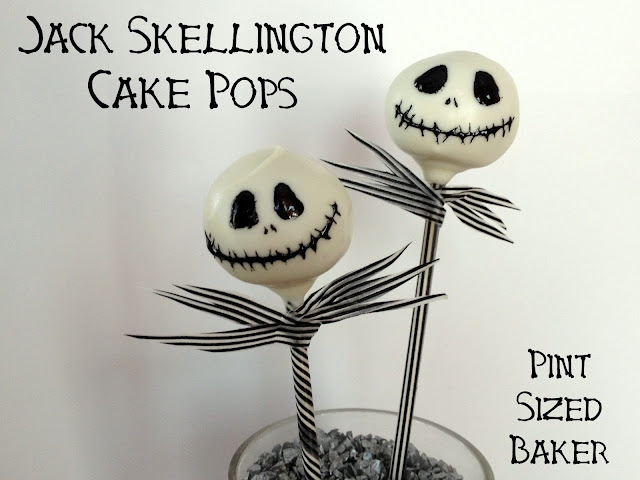 Thanks so much for featuring my Jack Skellington Cake Pops! That totally made my night! Adding your button to the post now! Thanks for the party each week! You are welcome. They are fabulous! Thanks, Allison, for featuring my branch candle centerpiece this week. It’s such an easy project that brings me delight each day. Love the blog and your thrifty DIY self! Your candle branch is so awesome. I need one! I love, adore and am obsessed with Downton Abbey! I just won the Unofficial DA Cookbook! Woot. The bad news… the 3rd season doesn’t start until January. 🙁 Yeah, I know. I’m not sure I can wait that long. What? January? I thought a few episodes had aired already. Boo. Thanks for hosting – I think you can get them on Amazon but they are $1.99/episode. I’m too cheap! I watched the entire first 2 seasons in like a week – I love it! I’m hoping they move the 3rd season to Hulu/Netflix/Amazon Prime soon! Otherwise I might cave. And I know if I buy 1 episode I’ll have to buy them all!! Hmmm, it might be worth it to me to pay $1.99 an episode. I’m desperate! Wow!! Thanks so much for featuring my pumpkins!! Feeling the love today:) And I really need to start watching Downton Abby…..I’ve heard nothing but amazing tings about it! Right now I’m hooked on Breaking Bad…I think I need to finish one obsession before starting the next or I will never pull myself away from the tv! Sarah, OMG Breaking Bad is the best show ever created! I am dying waiting until January to finish the last season. Thank you for hosting! Love all the great fall and halloween links! I haven’t wanted to start Downtown Abbey-knowing it’s a highly addictive show, according to my friends. I think I’ll wait until things slow down a bit. I’m glad that you started to like it. I was beginning to think it might be a dud! Today, I’ve linked up my “In Your Face” round up of DIY Lip Balm, Mouthwash and Toothpaste (#55). All of them are non-toxic, cost $.25 each and are simple to make. I hope you enjoy and thanks for the link party! Hey my friend! I miss chatting. We need to get in touch again soon. Thanks for hanging out at my party. I just love the ideas that are shared here each week and I’m so happy I can post mine here as well! Have a super rest of the week! Cindy, I’m glad you share your ideas as well. Hey Allison thanks for hosting!! I watched the first 2 episodes of season three on a website Vintage Revivals posted on Facebook. It worked! 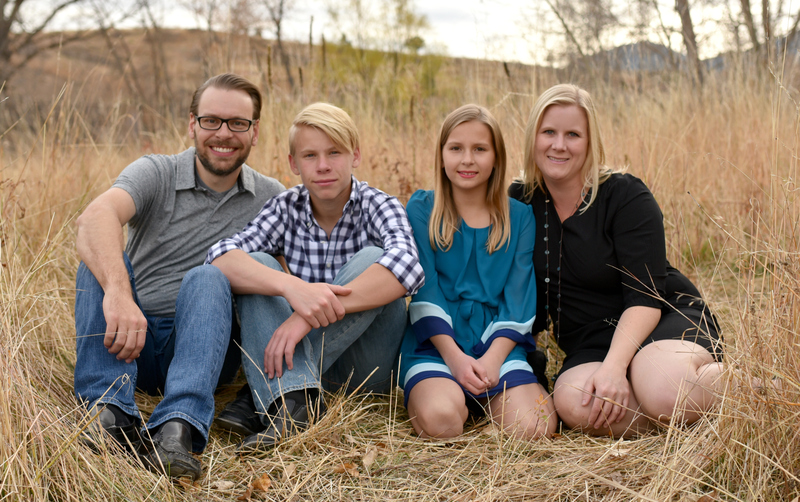 http://utahsweetsavings.com/2012/09/dowton-abby-season-3-watch-it-now/ ….click on the picture for each episode and it opens a new window…it used to play right on the page but it looks like they were having trouble. she includes the link for episode 3 in the comments! I still need to watch that one so I hope it works! You are officially my new BFF. Thanks so much for featuring my pumpkin pillow, you made my day! Thank you for the fun party!! Thanks for the great party each week! 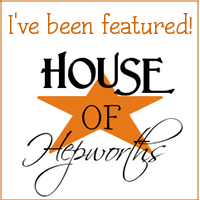 Awesome features too….those pumpkin cookies are too cool!! Hi Allison, such fun things to look at, those decorated pumpkin cookies are awesome! Thank you for hosting and FEATURING my rug, you are so awesome!!! Thank you for the feature Allison! Enjoy the rest of your week! Allison, thank uou so much for hosting this fantastic party! Thank you so much for featuring my mantle!! i am really thrilled ro be up there among all the others!! I love the cassette tape wall piece!! it looks like an amazing weekend DIY project! I’m so behind on my blog reading, so clicking on your link to find my dog silhouette is super exciting! Thank you so much for featuring my work. You are welcome! I love your dog silhouette. It is really cool.